I might get some heat for this answer but it is just my opinion and also, know that I train in, and respect both arts. The short answer, of the two, would be Brazilian JiuJitsu (I will use the Brazilian spelling). The long answer: Brazillian JiuJitsu is basically derived from Judo. The key here is that it was derived from pre-WWII Judo. Pre-WWII, Judo was a brutal and highly effective martial art. It was not uncommon for people to die in tournaments. Many of the more dangerous elements of JiuJitsu were still very much allowed and many of the Kodokan practitioners engaged in no holds barred fights and tournaments although this was frowned upon as Kano was trying differentiate his art from JiuJitsu. JiuJitsu at the time of Judo’s birth was an art practiced by many a thug in Japan and its name was getting tarnished. To make matters worse, its training method had become antiquated and Kano thought to make a change. To reinforce this change in the minds of the public, the Judo “brand” if you will, became important. Then, Judo’s superiority had to be demonstrated. 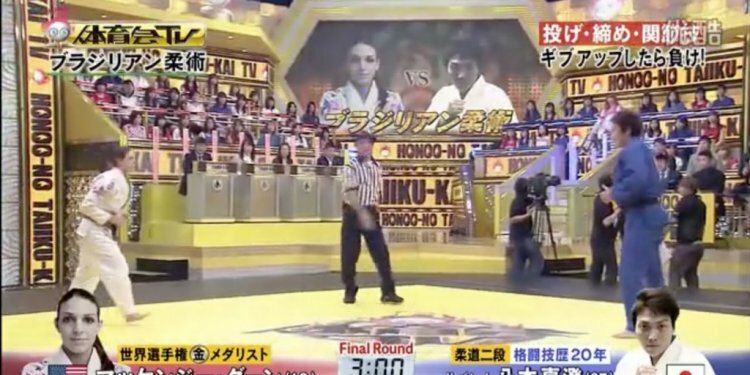 There was a large tournament held in Japan that was basically Judo vs JiuJitsu. Judo won by a landslide. JiuJitsu in Japan started a rapid decline. Judo began its rapid rise. Several of these Judo practitioners went around the world fighting and teaching. Theodore Roosevelt famously learned from a few of these guys (after he was blinded in one eye while boxing, he wanted to make the switch to a martial art that didn't have striking as its base) as did the Gracies in Brazil, where Japan was trying to establish another colony. The Gracies kept JiuJitsu (as they were told it was named, so again, not to bring the Judo brand into the context) as a fighting art. WWII happens and Japan loses. The Americans ban all martial arts for a time. In this context, it must have looked as though many of these arts would be gone forever. The end was not clear. Sports however, are allowed. Judo is reformed into a sport with many rules added and many of the dangerous techniques removed. Training is changed to emphasize winning in sport situations, not on the street. Judo becomes arguably watered down as a martial art, but flourishes as a sport, becoming one of the most popular sports on earth and ending up in the Olympics. The Brazilian style of JiuJitsu, or, pre-war Judo, continues to be refined for self defense and no holds barred fighting in Brazil. It is battle tested and proven effective. It has been incorporated into many other martial practices and used extensively in MMA. If you were to train in both arts (as many people do) you will notice right away that the techniques, mechanics and mindset of BJJ is more suited to self defense. You will also notice that Judo as an art and as it is trained, is more suited to sport competition.